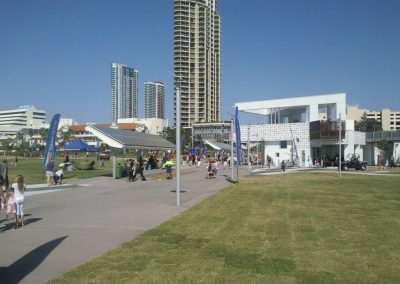 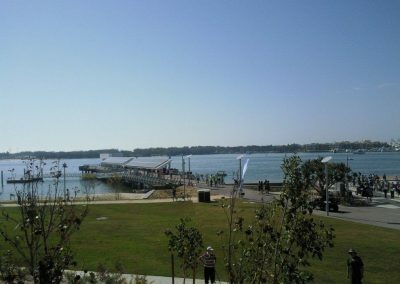 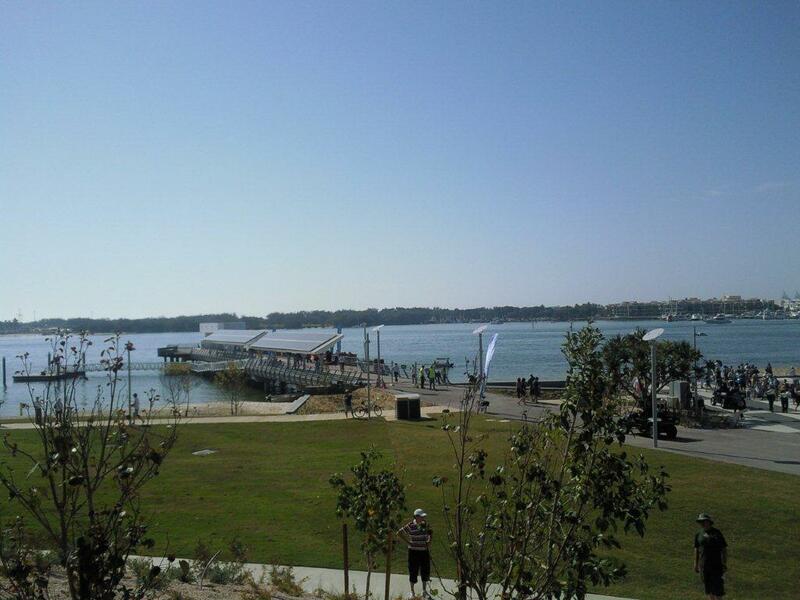 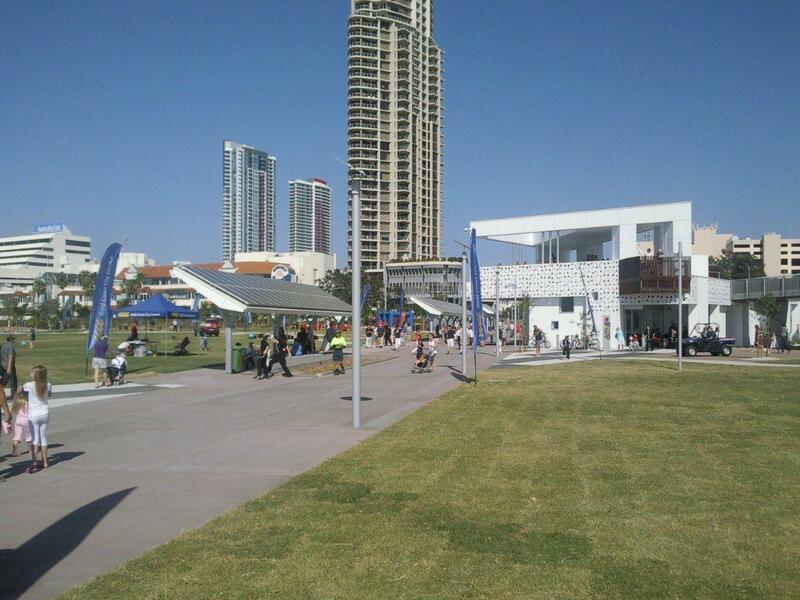 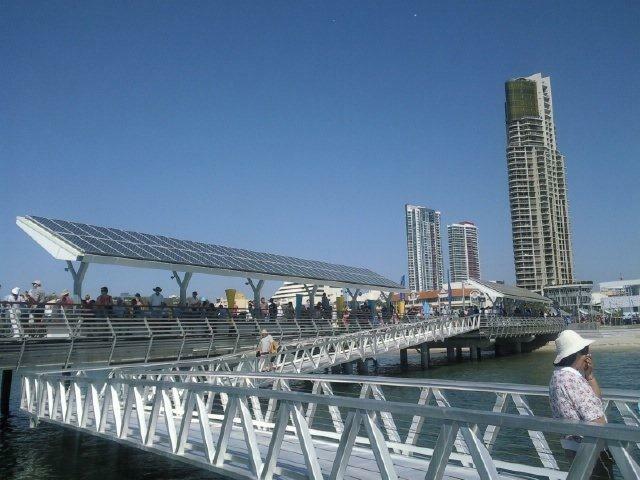 Sunelec is proud to have been involved in the Southport Broadwater Parklands Redevelopment. 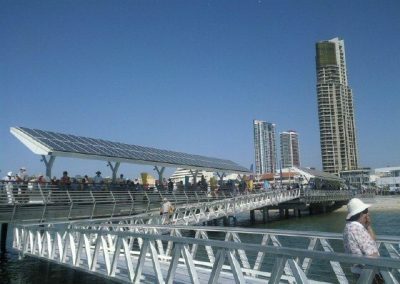 Sunelec has been involved in the design and installation of the 46.55kWp PV Solar Grid connected system. The largest single installation in Queensland. The array consists of 266 Conergy P175M Solar Modules Conergy Suntop III framing And Fronius Grid Inverters. 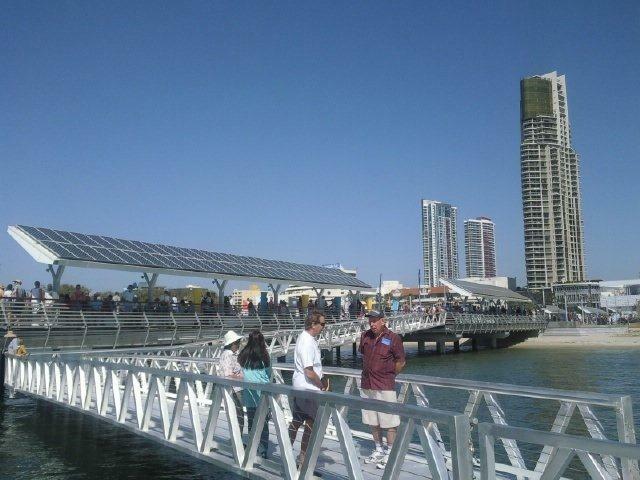 This will feed directly feed into the Southport Broadwater Parklands Power grid and is expected to provide 100% of the energy requirements for the entire complex. 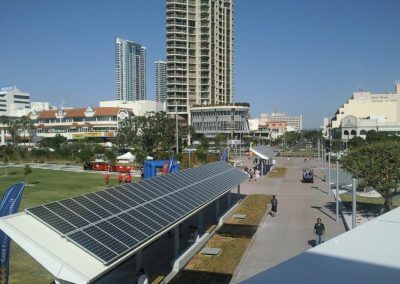 Above all, the new parklands will provide a community facility thatcelebrates 150 years of Queensland as a separate state from New South Wales. Sunelec is proud to be involved in one of Gold City Council Recreational Projects. 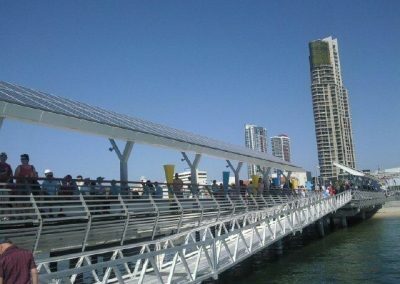 The Southport shoreline, covering nearly three kilometres of parkland is a key recreational asset for the residents of the Gold Coast and wider community. 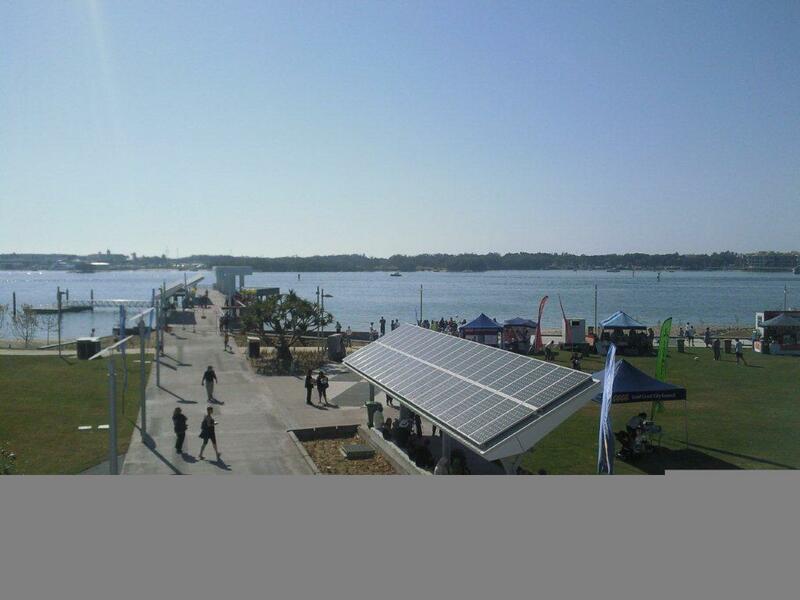 The Southport Broadwater Parklands includes a number of environmental initiatives including solar power generation from within the site. 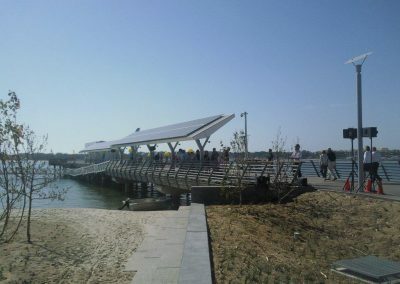 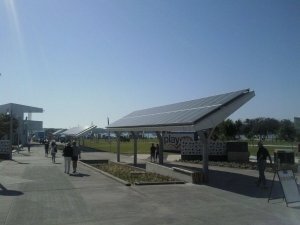 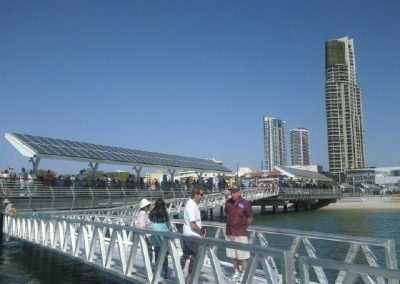 Shelters along the pier & path ways provide shade and on top of these 266 Conergy 175W Solar panels are installed generating power for the parklands.